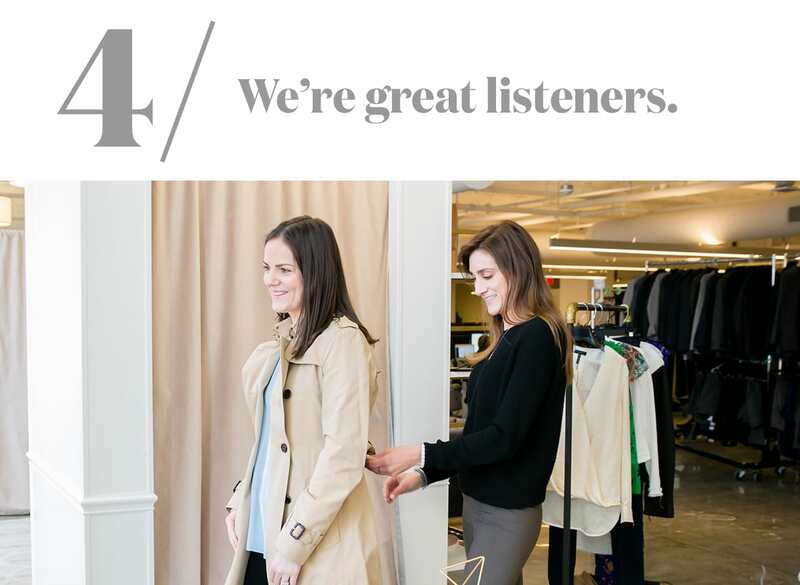 We’re probably best known for our Trunk service—chat with your stylist online, and they’ll send you up to 12 items curated for your size, style, and budget. 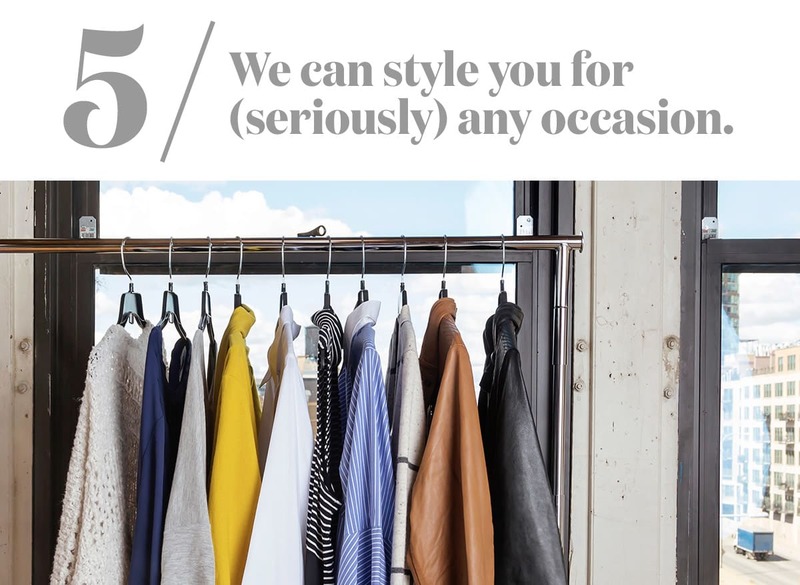 But did you know that we also have Clubhouses where you can shop with your stylist in person? They’re located in six cities across the country: Boston, Chicago, Dallas, DC, Los Angeles, and New York. When you make a shopping appointment with your Trunk Club stylist, you’re in for a one-of-a-kind experience. What makes it so special? Scroll on for six reasons, one for each of our amazing Clubhouses. The DC Clubhouse, for instance, is atop the International Spy Museum, with great views of the Smithsonian National Portrait Gallery. 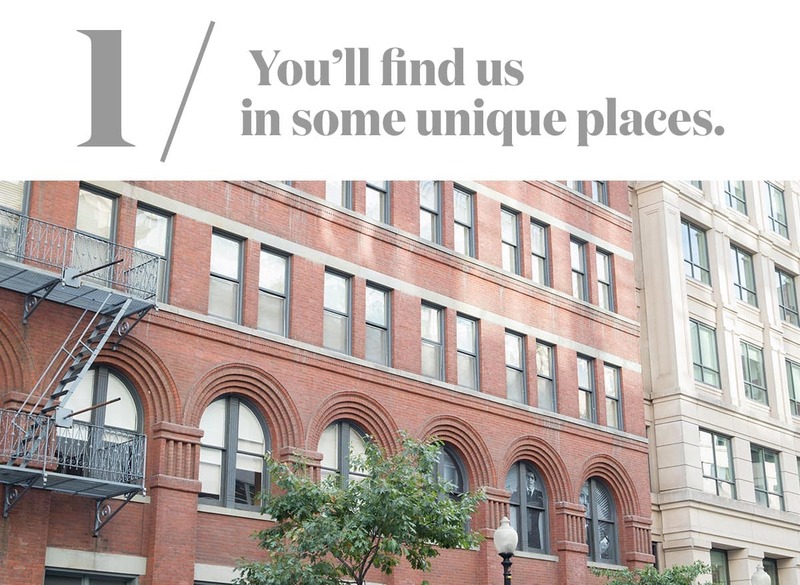 And our New York location sits within a historic 7-floor mansion attached to the Palace Hotel. The design of each Clubhouse was inspired by its hometown. 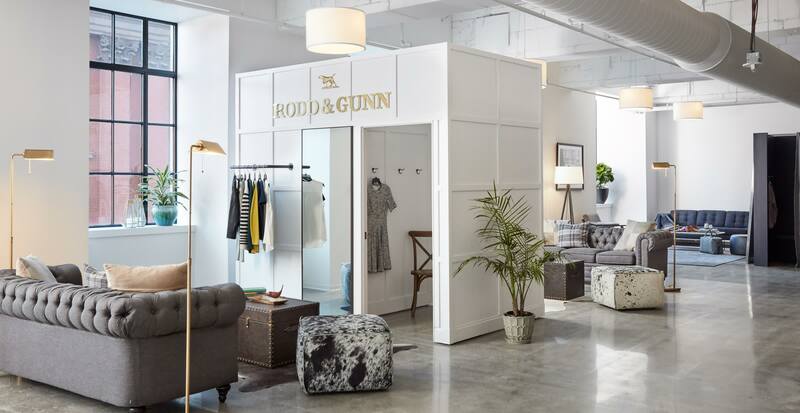 There’s cowhide furniture in Dallas, and sliding walls in LA that open up to the California sunshine. 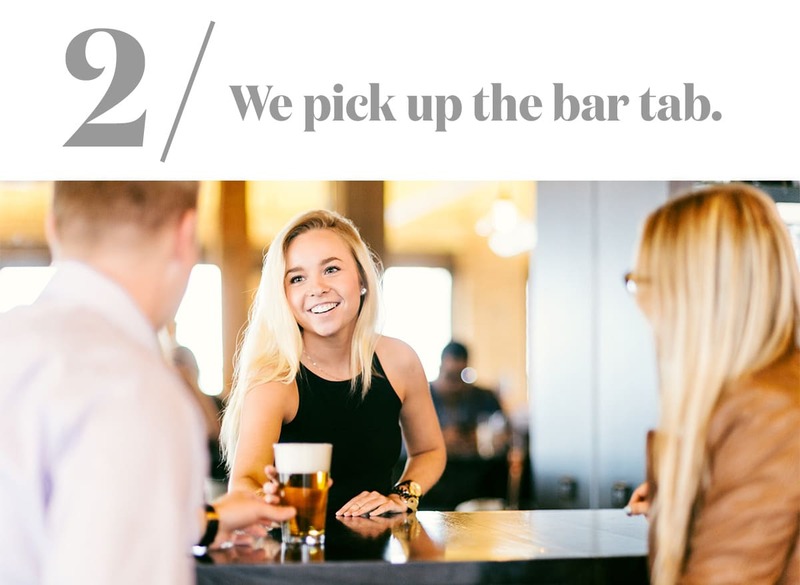 Whether it’s a coffee counter, a full bar, or both, every Clubhouse boasts beverage service that’s completely on the house. Settle in with a drink before your stylist takes you to your own personal fitting room. Our fitting rooms are like actual rooms, decorated by some of our favorite home and fashion designers. They’ve all been outfitted with couches, cozy pillows, and floor-length mirrors, so that your appointment is as comfortable as as a Netflix night. Another unique thing about coming into a Clubhouse is having your stylist consultation in person. Our stylists know all the ins and outs of our inventory, so when you tell them what you need, they’ll know exactly what to pull for you. As you try things on from a rack full of hand-selected clothing and accessories, they’ll be there to give you styling tips and outfit advice. Want a custom tuxedo designed? Done. Need machine-washable clothes because your kids’ hands are always sticky? Let’s do it. Have a new job that necessitates a new wardrobe? We got you. Our customers come to us for a range of reasons with all types of budgets in mind. Just let your stylist know if there are any parameters they need to stick to.